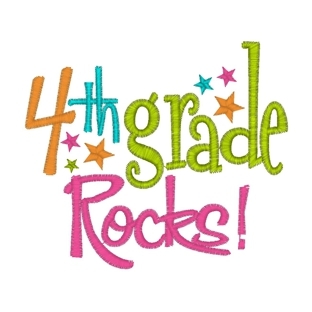 In Fourth Grade, we will be focusing on our main subjects; Mathematics, Religion, and Language Arts. Science and Social Studies will be included in our learning. We are incorporating guided reading and close reading strategies into our Reading groups to ensure each child is reading to their potential. The Guided Reading groups will focus on goals set by students as well as enhancing reading comprehension, fluency, and other reading strategies which will make students active readers. We will also focus on developing and strengthening writing skills through monthly writing prompts and book reports. Please Note: the homework listed under "Homework Info" may not always be accurate as it is based off weekly lesson plans that change due to pace of a given lesson. Students are held responsible for writing down homework in their assignment books for each subject every day. Major tests or projects can be found on the website calendar. Please feel free to email with any questions. The mission of St. Joseph School is to provide the highest quality of spiritual and academic education in order to meet life's challenges by developing integrity, respectfulness and resourcefulness in a faith filled environment.